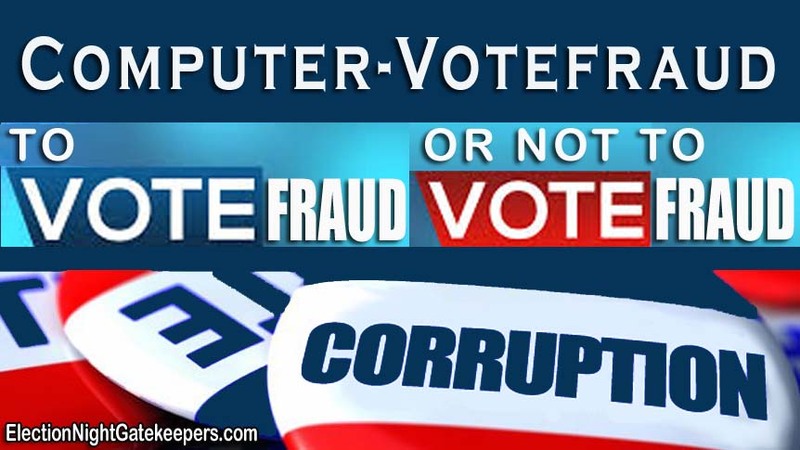 To Computer-Votefraud Trump, or not to Computer-Votefraud Trump in Ohio? It is now too late for Donald Trump to object in public to the secret computer counts before tomorrow’s critical election day, Super Tuesday 2. On that score, this website’s efforts of the last six months have failed. Hopefully the Trump organization leaders are doing something behind the scenes to let the Secretaries of State know they’re watching what happens, and keeping lawsuits with plenty of depositions open as an option. The Election Night Gatekeepers in NYC are agonizing tonight on whether or not to risk cheating Trump out of Ohio, while preposterously claiming that the unpopular, no-energy Kasich wins. The Big Media has done plenty to prepare the public mind for a computer-generated Kasich “victory” in Ohio. They have also hedged their bets by reporting on a few late-breaking polls that show Trump winning Ohio. The computer vote “count” tomorrow in Ohio is conducted completely in secret, with no checks and balances. No citizen, no candidate, no local press person — is allowed to inspect, or count, any ballots tomorrow – in ANY of the primaries. We, the hapless public, under the current election systems, must accept the “result” for Ohio announced by the 5 Big TV Networks as an act of BLIND FAITH. Same goes for Florida, Illinois, North Carolina and Missouri. Next: Trump got a 20,000 crowd in Dayton, Ohio, and a 28,000 turnout in Cleveland, Ohio on Saturday. Kasich, with an all out effort by the surrounding Republican Party organizations, got 700 in Cincinnati on the same day. Most of these were probably county employees, or their families, who felt pressure to attend. One present relayed that the applause was polite and tepid. No enthusiasm. And, with a straight face, in light of these and other facts, the Big Media is going to claim that the dud Kasich wins? Preposterous. If the Media claims that Kasich “wins” Ohio, then we are probably off to a contested convention, where the crooks running the RNC will be manipulating the rules like mad to get their way. 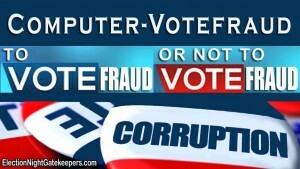 The question the Election Nite Gatekeepers are mulling over is this: if they claim Trump loses Ohio – are they risking that half the nation will believe Trump was computer-votefrauded? And if that awakening materializes, are they risking losing their hammerlock on future US elections once their computers are booted out of the “vote-counting” process? There are not too thinly veiled calls for Trump’s assassination in Esquire Magazine, and by a NYT blogger named Douthat, and elsewhere. I’m just hoping that Trump, like John & Bobby Kennedy, and Richard Nixon to some extent, fall in the right direction. There is NO QUESTION that massive computer fraud was used to make Kasich the “winner” in Ohio today. Kasich is NOT popular in Ohio, and he has hacked off everyone. He is a disgusting creature of Goldman-Sachs. Early exit polls, before the Big Media altered them, showed Trump winning comfortably in Ohio. The 20,000 and 30,000 crowds Trump is attracting – have the Establishment in a box, as how do you make it believable that people who can’t get 50 people for most of their events — are “winning”. Also, the establishment might be thinking of making a deal, with Donald Trump, the self-professed deal maker. The Ruling Elite may be thinking they have to take a few steps back in the next four years due to intense public outrage at their take down of America, — while keeping their main program moving forward as far as possible behind the scenes. Many people are saying that Trump can’t be worse than Bill Clinton, W. Bush, and Obama., and that Trump might do some things right, where we know that Hillary, Cruz, Rubio, and Kasich are definitely total creatures of the Goldman-Sachs Establishment, and will do everything wrong for our country. This is about my take at this point.